The embroidered blouse, a little gem of art. 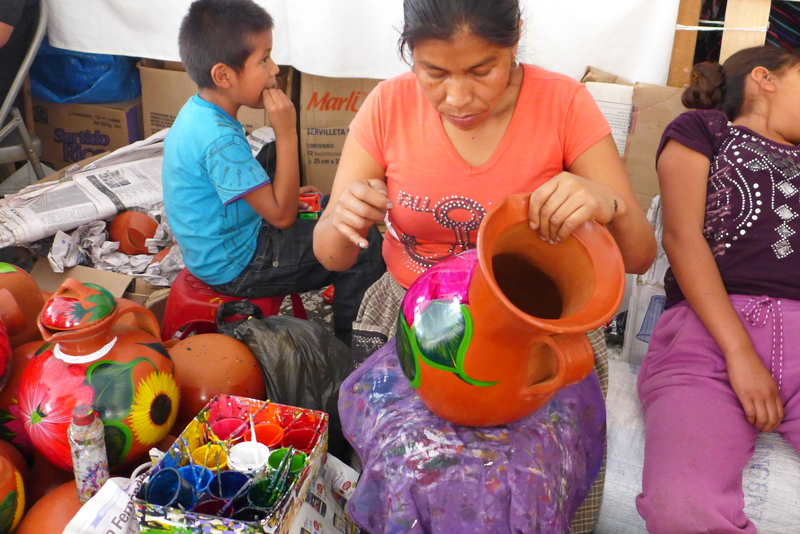 Uruapan is said to be the biggest artisan show in Mexico! Held every Palm Sunday Week and lasting over two weeks, it was a mind blowing experience. “How much do you want to see” I was asked. “all of it” I said, little did I know just how large the market was. !!! Mexican blouses made in the traditional huipil way are usually made with one piece of cloth made from Manta or woven telar. Sometimes, you will find that three pieces of cloth have been woven together. The artisans then take the piece and create the space for the head and for the arms. This results in the blouses often not having typical sleeves and it also provides for a looser and more casual fit. They reflect the traditional Mexican spirit; sometimes embroidered with colorful patterns, beads and lace, and sometimes pleated.Most More luxurious materials, like silk, are not common as the artisans are already (unfortunately) paid a subsistence wage for their work, so they do not have the extra funds to invest in richer materials. It’s also what is available in the remote areas where they live. When you first buy the blouse, it may have a rough or a stiff feel. This is due to two things. First, after the artisans make their blouse, they thoroughly wash it and bleach it, then allow it to hang dry. This method results in a stiffer feel. Also, the fabric itself is also a bit stiff at first. The amount of time an artisan spends on a blouse will dictate the price of the blouse. The fascinating thing about Mexican blouses is the designs that are put onto each blouse. 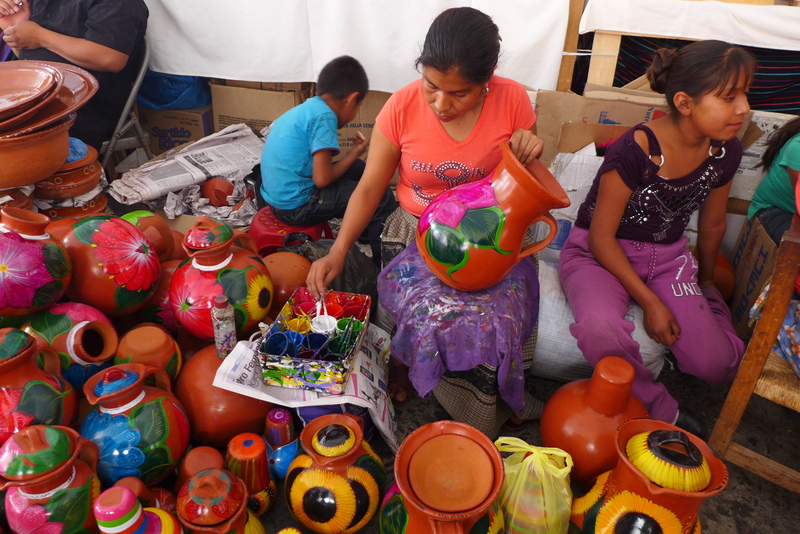 Each small symbol has a meaning in the culture of the artisan and it differs by region. While to you it may look like a simple stripe, the artisan was actually depicting a nearby river that provides fish and water to their village. This is something incredibly unique and special about the blouses and you are purchasing wearable art, not simply a blouse. 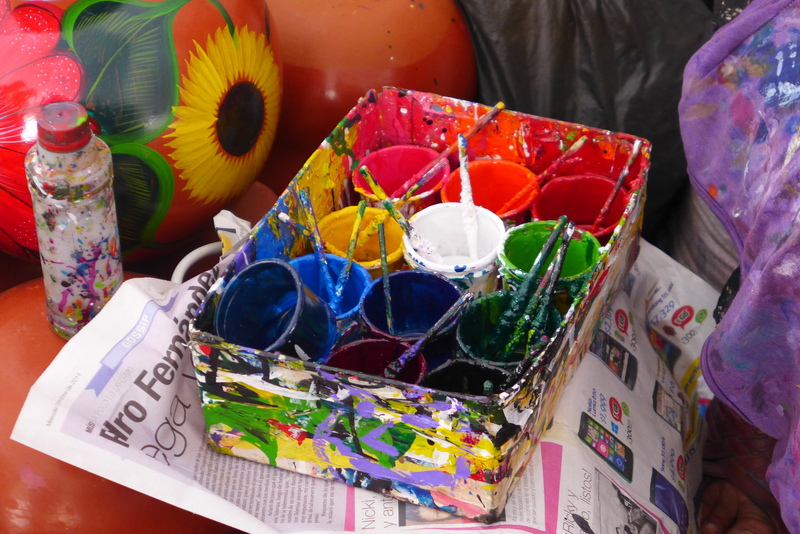 Tagged with: Art, color, Creativity, Embroidery, featured, photography, travel stories, Travel. I have yet to see anyone wearing glasses. Do the Mexicans not suffer from aging eyes? All of the women that you have shown working on their art do so without the aid of eye glasses. The colours in their art is just spectacular. Thats an interesting question, I never thought of that. Previous PostThe Procession of Silence on Good Friday in Morelia.